Last April, Michael Saltis learned he was officially in remission. This April, Saltis is excited to be helping the organization that helped him get there. 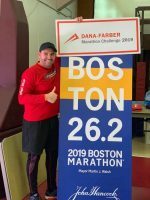 DANA-FARBER literally saved my life – the least I can do is run a few miles and raise a few bucks!! In April 2018, I received the news that I was officially in remission following a diagnosis of Stage IIA Hodgkin’s Lymphoma and 6 months of bi-weekly chemotherapy treatments. 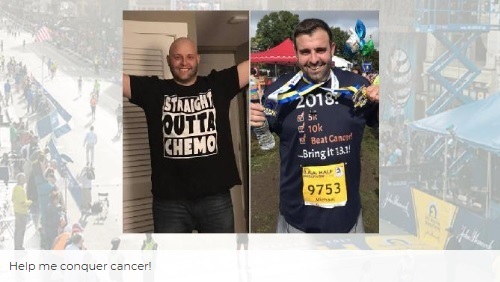 With the amazing support of my wife, my family and friends – I had done it, beat cancer! The following months were spent getting back to a ‘normal’ life. Along with the flurry of follow-up appointments, I was able to return to traveling for work (which had been temporarily suspended during treatment), resume going on vacations, hanging out with friends, and just getting out of the house more and doing things. 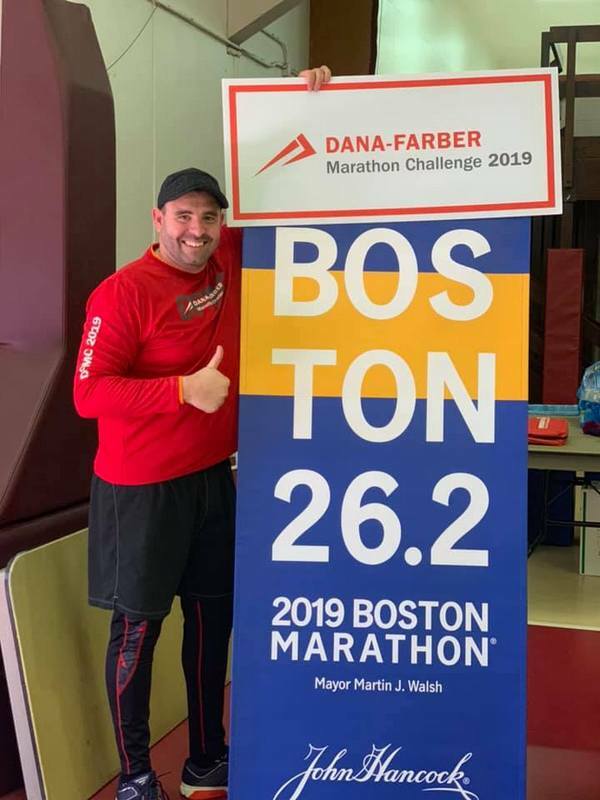 I also had signed up for the Boston Athletic Association Distance Medley and completed the 5K, 10K, and Half-Marathon! 100% of every dollar raised supports the Claudia Adams Barr Program in Innovative Basic Cancer Research at Dana-Farber Cancer Institute. These funds are fueling some of today’s most promising basic cancer research. Throughout my fundraising, along with this page, I will be hosting some fundraising events (raffles, etc.) so keep an eye out for additional fundraising opportunities! To contribute to Saltis’ fundraiser, click here.